MLB Rumor Central: Rays interested in Brian Wilson? 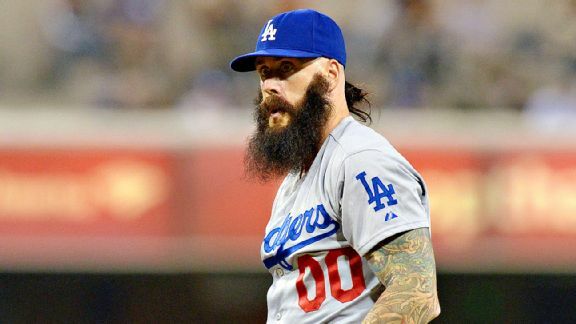 Brian Wilson is attempting a comeback as a knuckleballer and would be a starting pitcher, and the Tampa Bay Rays reportedly are interested. Former Giants and Dodgers reliever Brian Wilson is sporting a new look as he attempts to make a comeback as a knuckleballer. 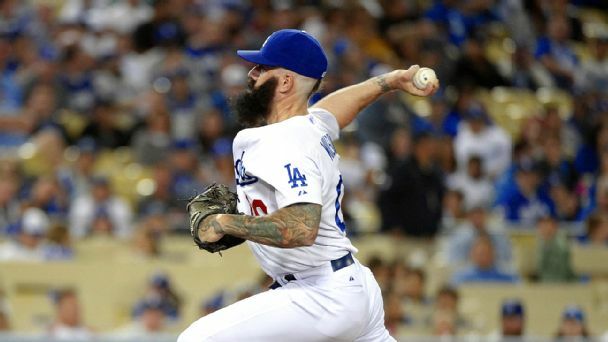 Brian Wilson, who hasn't pitched professionally since 2014, recently has thrown for at least two teams, Yahoo Sports reports, and is focusing on his knuckleball. Breaking down the best- and worst-case scenarios for the Dodgers in 2015. 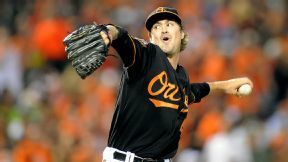 Are rehabbing pitchers the new market inefficiency? 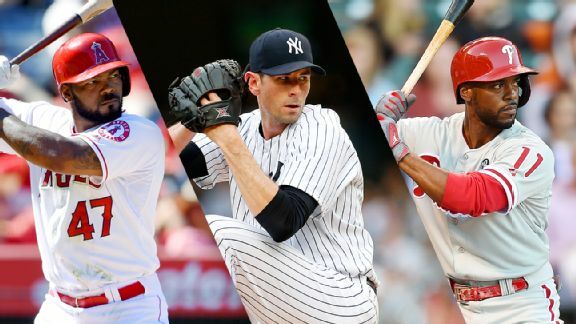 With the team's signings of Brett Anderson and Brandon McCarthy, it could be a sign of trying to find the next market inefficiency. 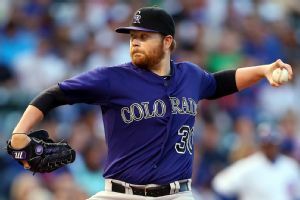 By all indications from Boston Red Sox general manager Ben Cherington, it appears the teams roster for 2015 is nearly complete.The rotation, despite lacking a true front-line starter, is comprised of five serviceable pitchers that the teams brass seems comfortable to start the season with. LOS ANGELES -- Brandon McCarthy pitches in a statistically extreme way, so it makes sense he pays close attention to some of his numbers. For example, he allowed 2. 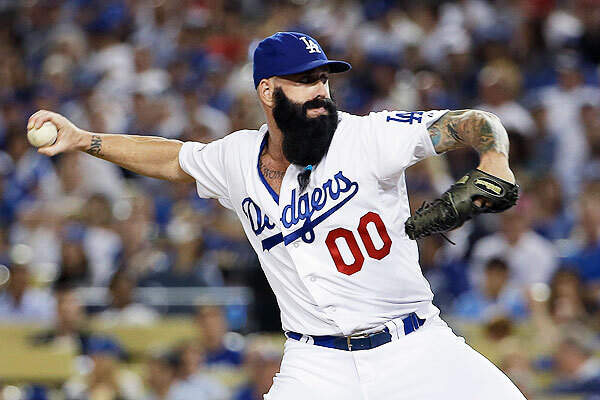 The Los Angeles Dodgers designated veteran reliever Brian Wilson for assignment Tuesday to clear room on the 40-man roster for newly signed starting pitcher Brandon McCarthy. 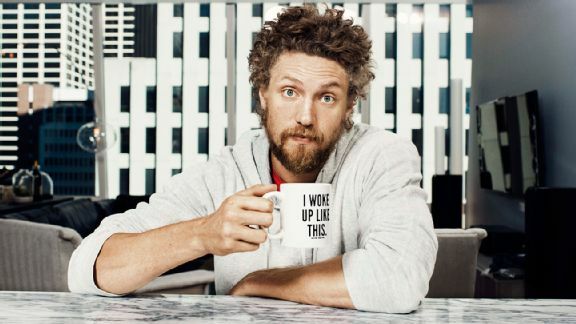 In ESPN The Magazine's Interview Issue, Hunter Pence bares all: the freaky sign phenomenon, the World Series win, and embracing one's awkwardness. 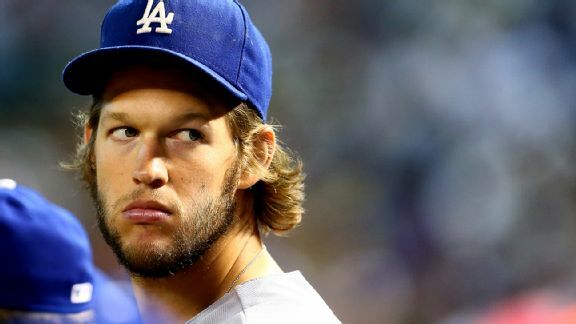 After a nearly three-year spending spree, the Dodgers seem to be retrenching this winter. Thats in part because they won 94 games last season and return a roster that is largely intact.